If you visit Italy at Easter time, you don’t have to go to church to see the statues. A common feature of religious holidays in Italy is the procession through the streets with statues from the church. I’ve seen this a couple of times in Italy, but have never lived anywhere with this practice. 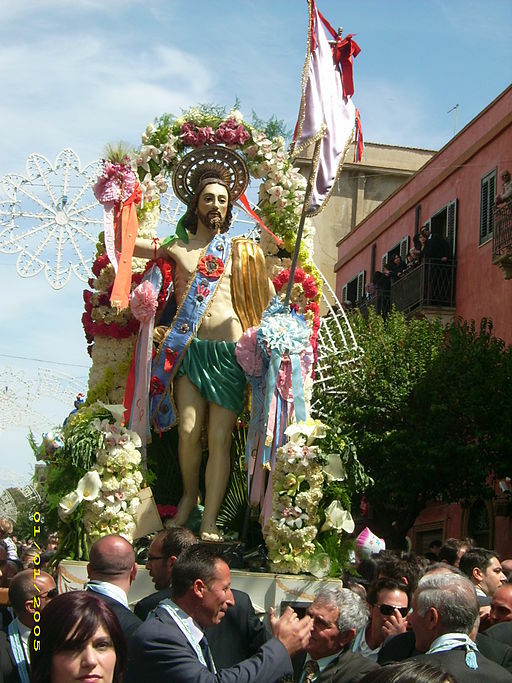 Here are some photos, all from Wikimedia Commons, of Easter processions with statues. And some of them run with the statues! Have you seen similar processions when traveling in Italy? Please share in the comments! 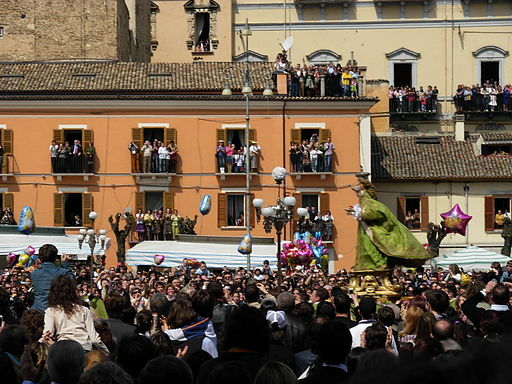 Easter procession in Ribera, Sicily. Residents crowd the balconies in Sulmona to watch the Madonna run through the streets. 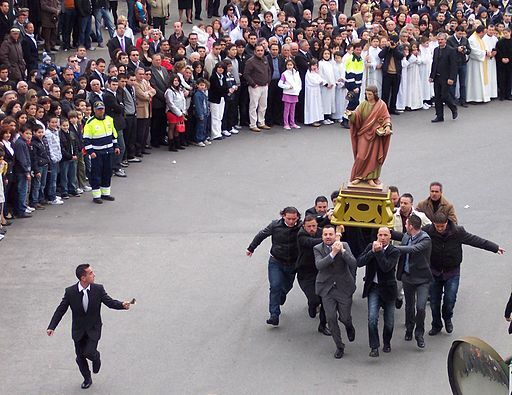 In Acquaro, Calabria, the Easter procession features John the Baptist running through town. And here is a link to an article with a little history about one such procession, on the island of Ischia near Naples.